Given offer to become Vice President of a large window company in Virginia Beach, Virginia. Moved to to Richmond, Virginia to centralize operations that covered the entire state of Virginia. BNW Builders is born. I chose to resign after fifteen years to open up my own home improvement company and focus on the Richmond Tri-Cities area. 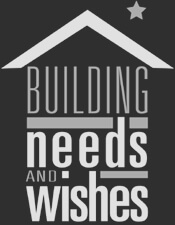 BNW Builders created Building Needs and Wishes. The sole purpose of Building Needs And Wishes is to provide free exterior home improvements to those in need. Opened our 8000 square foot showroom. This gave us the opportunity to better display our products to potential clients. Infinity from Marvin selected BNW Builders as the exclusive dealer of its fiberglass window in Richmond. 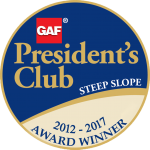 GAF honored us with the highest achievement in the roofing industry- selection into The GAF Presidents Club. BNW Builders named an Infinity Premier Partner for 2014! BNW Builders named an Infinity Premier Partner for 2015! We continue to grow and introduce new products while proudly serving Central VA.
GAF Triple Excellence Award for roofing. In 2013, GAF honored us with the highest achievement in the roofing industry- selection into The GAF Presidents Club. In 1989 I was given the opportunity to become Vice President of a large window company in Virginia Beach, Virginia. Just finishing college at William Patterson University in New Jersey, this was a welcomed challenge. Originally from Chicago, I would be on the move again. In 1990, we decided to centralize our operations that covered the entire state of Virginia, the company’s headquarters was moved to Richmond, Virginia. After many years that included traveling up and down Interstates’ 64 and 95, I made the decision that it was time to stay closer to home and spend more time with my wife and children. 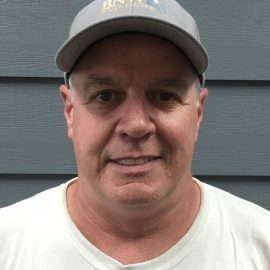 I chose to resign after fifteen years to open up my own home improvement company and focus on the Richmond Tri-Cities area. In April 2004, BNW Builders was born. Through hard work and dedication BNW Builders has grown into one of the top full service remodeling companies in the United States. For the past four years, Remodeling Magazine has recognized BNW Builders as one of the top remodelers in the Country. For six consecutive years we have earned the GAF Triple Excellence Award for roofing. The categories are Training, Consumer Protection and Installation Excellence. In 2013, GAF honored us with the highest achievement in the roofing industry- selection into The GAF Presidents Club. Always on the cutting edge, in 2013 BNW Builders became the exclusive dealer of Everlast composite siding in Central Virginia. Everlast is unlike any other siding you’ve considered at 1/4″ thick and made from limestone and resins. Everlast is stronger and more durable than HardiePlank and never needs to be painted with its ColorHold® UV stable acrylic polymer technology. In 2011 Infinity from Marvin selected BNW Builders as the exclusive dealer of its fiberglass window in Richmond and in do to our success we were named an Infinity Premier Partner in 2013. The Infinity Ultrex fiberglass replacement window is the most beautiful window I have ever seen. Its narrow frame and sash profiles allow for more visible glass area and expanded views versus vinyl, composite and even other fiberglass windows that will drastically reduce your viewing area. In many cases when we replace your windows with our Infinity Ultrex fiberglass window you will gain a noticeable amount of glass space. The Infinity Utlrex fiberglass window is a true architectural window. Our construction division continues to grow. We are typically working on three to four additions, remodels, sunrooms, etc. consistently at a time. In May of 2013 we achieved the highest honor in the remodeling industry, BNW Builders was inducted into the exclusive Big50 by Remodeling magazine, you can read more about this in the press release in our news section. Again, hard work and dedication pays off. We continue to be one of the top GutterShutter franchises in the Country year after year. Building Needs And Wishes is to provide free exterior home improvements to those in need. In 2007 BNW Builders created Building Needs and Wishes. I wanted to give back to our community that has so graciously supported my family over the years. The sole purpose of Building Needs And Wishes is to provide free exterior home improvements to those in need. We do not publicize all of the charitable work that we do, but some of it can be seen on our website by clicking on the Building Needs And Wishes tab. If you want to be updated on the next Building needs and Wishes event, sign up for our monthly newsletter or follow us on Facebook. If you don't feel that you would qualify, please pass this information on to anyone you feel might need our assistance. We have also partnered with Habitat for Humanity, The Salvation Army, Goodwill, and Fox Holiday Socks to name a few. BNW Builders support many schools around town. Whether it's a fund raising event, advertising in a school magazine, banner advertising, or just the need for a donation, BNW Builders helps out. BNW Builders support many more organizations within our community. We can't monetarily support everyone, but if you know of any organizations that might need assistance please email me at Bruce@BNWBuilders.com. I read and reply to every email that reaches me. In July of 2008 we opened our showroom. This gave us the opportunity to better display our products to potential clients. Instead of solely bringing "tiny" samples to your home where it's really hard to really see what the product will look like during our free in-home estimate, you now have the opportunity to stop by our showroom before or after the in-home estimate and see "life size" samples. We feel so strongly about seeing "life size" samples that we offer a showroom discount for you taking the time to stop by. In 1989 I was given the opportunity to become Vice President of a large window company in Virginia Beach, Virginia. Just finishing college at William Patterson University in New Jersey, this was a welcomed challenge. Fifteen years later I decided to open up my own home improvement company and focus on the Richmond Tri-Cities area. In April 2004, BNW Builders was born. Tim, AKA "my right hand man", heads the BNW Builders' staff. Tim is our Senior Vice-President. 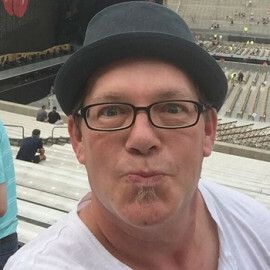 His twenty-five years of experience in our industry has allowed him to see just about everything and expect anything. Tim is hard working and trustworthy. 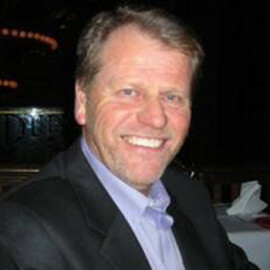 Tim has played a major role in the success of BNW Builders. When Tim is not at work he is either spending time at home with his wife and children or at Church band practice. Tim is an avid musician. Tim has worked with me since 2005. Tommy has worked with me for over fifteen years. 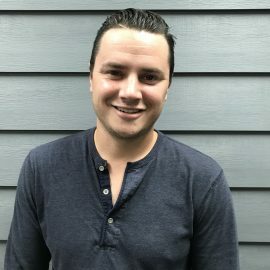 Tommy’s main goal is to make every project from beginning to end, go as smooth as possible. In Tommy’s spare time you can find him tying flies or babysitting his grandson Barksdale. His Matty-J custom flies can be found at just about any fly-fishing shop around. New to our team mid 2015 Amy has quickly excelled into multiple positions. Amy is an exceptional mother of two boys. 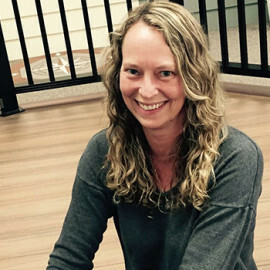 When not at work or taking care of her children, Amy's passion is gymnastics. She loves coaching competitive gymnastics. Amy is an exceptional addition to the BNW family. Wayne has worked with me for over twenty years. Wayne is a true asset to our company. In his spare time Wayne likes to spend time with his wife, play with his dog Hero, watch STEELER football (sorry), and ride his Harley. Wayne has worked with me since 1989. Dan, one of our Construction Project Managers, or as I call him, Lt. Dan (Forrest Gump..sorry) runs all construction field operations. 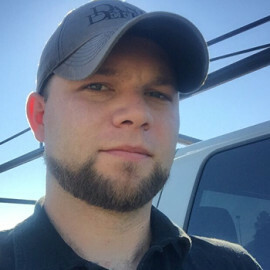 Dan joined our team full time in 2013 and has been a major addition to our construction division. 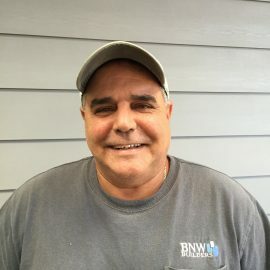 Dan's industry knowledge, exceptional people skills, and tireless work ethic has allowed BNW Builders to take our construction division to an even higher level. 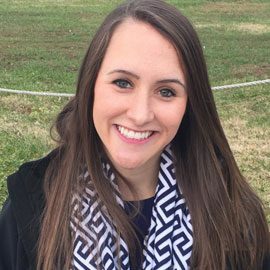 Beth was added to our team in 2013. Beth is my Junior Executive Assistant. Her hard work and dedication has made everyone's job around here a lot easier. Beth secretly inspires to be a weatherman. When Beth is not at work she loves spending time with her children. Brett's work ethic is second to none. 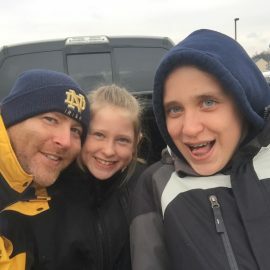 There is not enough room to let you know all of Brett's hobbies, but here are a few.... Brett loves to travel, volunteer for non-profits, go fishing, box, and spend time with his three rescue dogs. Oh, and Brett's latest endeavor is being a graphic designer and getting into screen printing (he even bought his own machine). Steve, our Master Handyman, a long time friend of mine, is our "finisher"/bathroom remodeler. Steve has an impeccable eye for detail and our customers love him! In his spare time (his wife and kids would say, what spare time!) Steve can be found working on cars. Steve has worked with me since 2005. 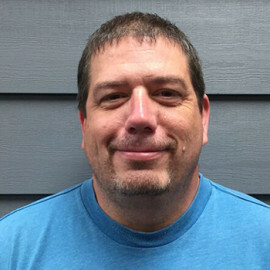 John has over twenty-five years of experience in the home improvement industry. 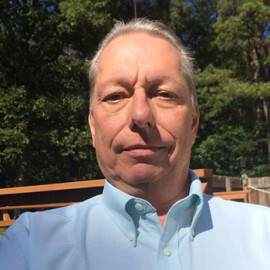 John served our Country from 1969 through 1973 as a member of the United States Army. In John's spare time he enjoys fishing and being outdoors. Jaden is a one year old Beta fish that we take care of for Bruce's kids. Some might say that Beth is trying to steal Jaden’s love by over feeding him. 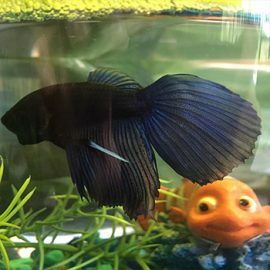 **Update** Jaden recently passed away. Our installers are truly what separate us from the other companies around town. BNW Builders prides itself with specialized installers. Specialization gives attention to detail, as they are masters of their trade. All of my window and door specialists have more than twenty years experience each. My dedicated siding installers have a minimum of ten years experience each. Our dedicated roofing installers also have a minimum of ten years of roofing experience. In December of 2007 our previous roofing supplier GAF, rewarded the tireless work ethic and extreme pride in our workmanship by giving us Master Elite Status and in 2012 named BNW Builders as 1 of 28 roofers in the United States to achieve President's Club status. In 2009, 2010, 2011, 2012 and 2013, GAF recognized BNW Builders as one of only a few roofing companies in the country to receive the prestigious GAF Master Elite Triple Excellence Award. The awards are for consumer protection, training excellence, and installation excellence (an award we have achieved every year since achieving Master Elite Status). Way to go guys! My GutterShutter specialists have over fifteen years experience - a must when installing the most advanced gutter protection system on the market. My remodeling/addition/sunroom/deck division has over twenty years experience. 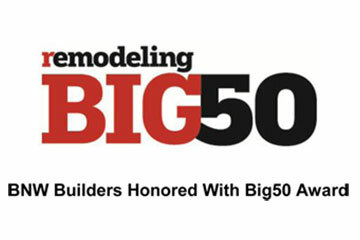 Being inducted into the Remodeling Magazine Big50, a nation wide award given to us by our peers, humbles us greatly. Make sure to watch or read testimonials from our customers - we have 200 full length written testimonials about our wonderful staff and product on our testimonial page. Not only is the customer experience important to me, but equally important is the employee experience at BNW Builders. Since BNW Builders was born in 2004, I have had only six employees leave my employment. I try to create the best working environment for the people that work with me.